Yoga Agora is a neighborhood yoga studio in the heart of Astoria. Since 2010, we have been a local destination for anyone who needs a community space to move, breathe and meditate. To make yoga as accessible as possible, we offer affordable drop-in classes with seasoned instructors in a simple and beautiful space. 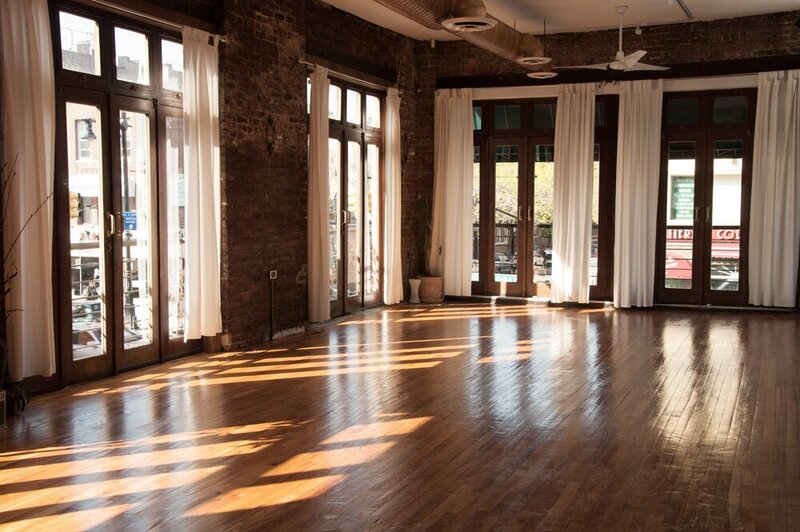 Our studio takes its name from the central meeting place of the ancient Greeks, the Agora. By bringing people together for a collective experience, an Agora can create a sense of community. Connection to community can play an integral role in improving our quality of life. We invite practitioners of all different levels, experience and background, believing that yoga and meditation can be a lifelong practice for anyone.